Dear Tammy: I’m a new travel agent and thinking about specializing in offering couples the best honeymoon and destination wedding packages. I’ve been doing a lot of research and wondering what do you think about Amazon's new affiliate wedding program? Tammy: I first want to welcome you as a new travel agent! 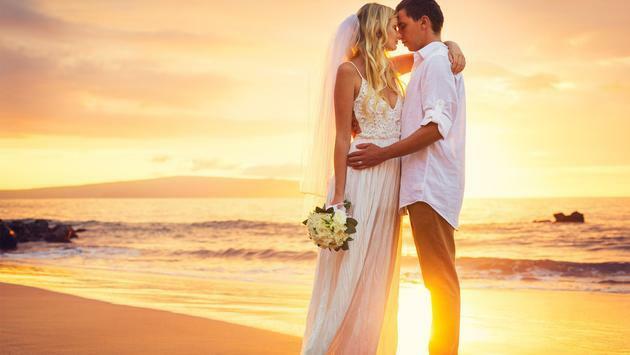 Since you’ve chosen to specialize in honeymoons and weddings, know that you can expect a long and lucrative career in the travel industry as this niche is always trending. Doing a lot of diligent research is definitely necessary if you want to stand out from other travel agents who also specialize in this travel niche, and it looks like that’s exactly what you’re doing, so seems like you’re off to a good start! Yes, Amazon now offers those who are getting married the ability to create their own wedding registry right on their online platform. They’ve decided to join the many other businesses that offer soon to be married couples the ability to register a variety of items, services and much more that they want to receive as wedding gifts. A few of the more popular registry places include Bloomingdale’s, Macy’s, Williams Sonoma, Zola, Ikea and Nieman Marcus. Because Amazon has done their research, they offer a universal registry that allows couples to add any items found on their site, as well as items that are found elsewhere. This option has caught the attention of many couples, making it so that Amazon is now one of the more popular wedding registry sites in the US. Additional benefits of using Amazon’s registry program? They offer multiple categories, the site is super easy to use, they have a strong customer service team, couples can add notes to their items, and they provide a list of who bought what (thank you cards). If the couple needs to return or exchange anything, they get 180 days instead of the typical 30 days to do so (for most items). They also offer a payment plan for gift givers, up to 24 months to pay the purchase off. The couple can choose to make their registry page visible to only then, only to the people they give the link to, or visible to the general public, it’s up to them. Once the page is set up they will be given a link to share, or if they have chosen to go public then anyone can just go to the registry site and just enter their name. It's always a good idea for travel agents to put beneficial info on their websites for their clients. It's also a good idea for agents to always be on the lookout for additional revenue opportunities, which makes it worthwhile checking out Amazon's affiliate programs. By doing this, you're adding value to your existing services, which your clients will appreciate. And you're also making more money.